This display in the Library Gallery is comprised of natural fibers dyed using edible materials. The basic recipe used was 10% alum and 8% cream of tartar / weight of fiber for the mordant. Fresh ingredients were used for the “food dyes” and simmered with the sample until the desired color was achieved. 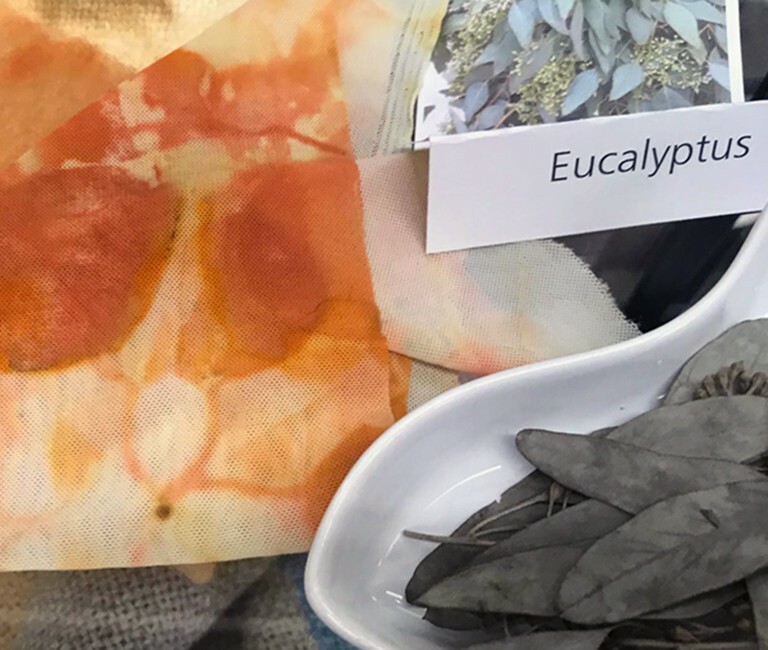 The display was created by members of the Natural Dye Working Group, an informal group with a passion to explore natural dyes. They meet monthly in Textile Center’s Ellen Erede Wells Dye Lab. Special thanks to Leslie Hall, Norrie MacIlraith, and Judy Saye-Willis.